I managed to get a hold of an older IBM Point of Sale (POS) at one time, an older system. It consisted of the main system, a cash drawer, CRT screen, printer and keyboard. The keyboard is an IBM p/n 92F6271. To connect all of the peripherals, IBM seems to have obsesively used these proprietary connectors that look like overgrown RJ-45. 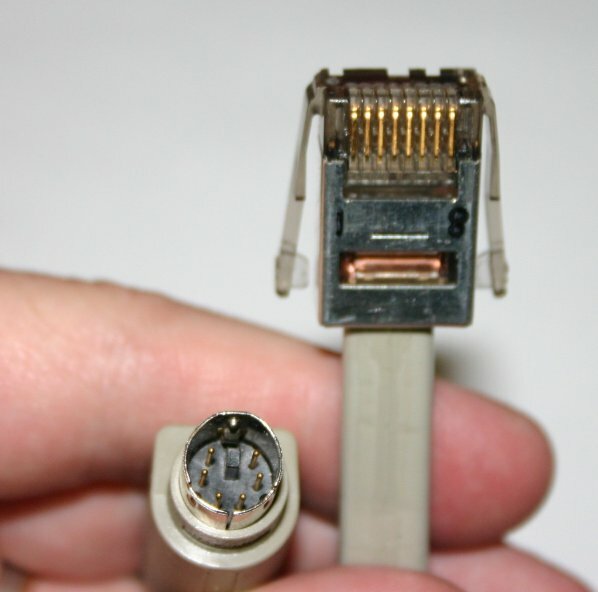 However, the cable used to connect the keyboard looked like it would connect to a standard PS/2 PC socket. The cable has an IBM part number of 13H7674. Here is a picture of what the cable looks like. 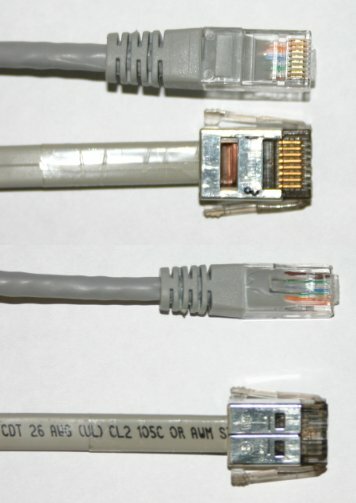 Here's another comparision of how IBM's connector compares to a standard RJ-45 plug. All picture are my own. Various pieces of information are copyrighted by their owners. This web page copyrighted (c) 2009 by Curtis Brown <mrbrown8@juno.com> .